Art, Design & Architecture are nothing but an increasing level of a mind’s work & when we call it a mind’swork, it embodies all our feels & senses. As architects, we realise the necessity to explore every form of art & skill & so we decided to begin this exploration from our own studio! 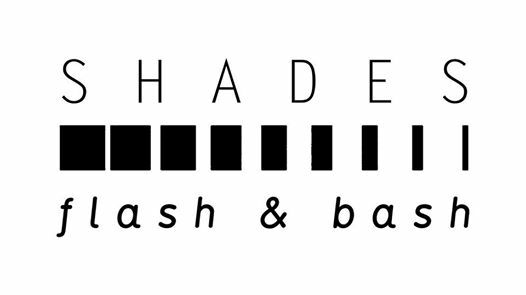 SHADES-ground & around is an Ahmedabad based architecture firm & that are committed to go just beyond that. Avoiding the routine photo shoot check right after the site is executed, we decided to invite all the city based photography enthusiasts to come & click from their own perspective! So whether you are A DOCTOR OR AN ENGINEER or you are 15 OR 50, we want to experience your photographic perspective with our design! • No cell phone photography. • Age & profession no bar! • This shoot is open for 24×7 from 13th to 20th May’17 only. • Kindly call in advance to confirm your shoot slot. • We will publish selected photos of EVERYONE taking part in this event with their Profile & Bio. • Since we have crafted our studio according to the lights & moods of a designer’s interest, the photoshoot event is open for any time in the day & the night. We assure every candidate that the place will offer good frames with different lights & shadows. • You’re most welcome to share the studio’s photos as per your interest. You can follow our further posts to know about the perks & prizes for the event. Kindly call on +91 9904 240 435 to know more & book your slot! Looking forward to some good associations!